The search box is located at the top right of every page. 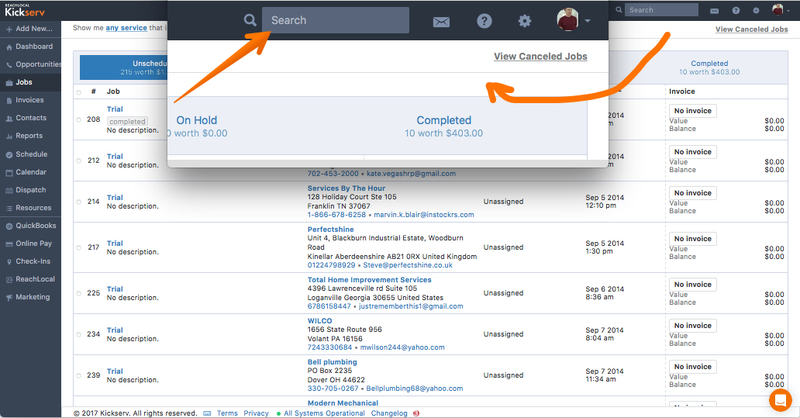 With smart search you can locate jobs by their Kickserv job number (j:###). I is simply "j" for job or opportunities and then the record number. You can locate your customer records by their Kickserv customer number (c:###). "C" for customer and then it record number. Tip: searching for your customer street address is a more sure way of identifying repeat customers and user names.